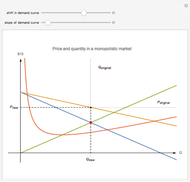 In a monopolistic market, there are instances where changes in demand curves do not produce a change in both price and quantity ( and ). 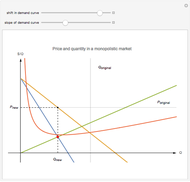 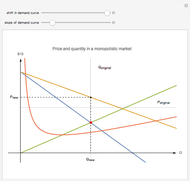 Change the variables in this Demonstration to see that with a change in demand curve, a monopolist can either produce the same quantity but charge a different price or charge the same price but produce at a different quantity. 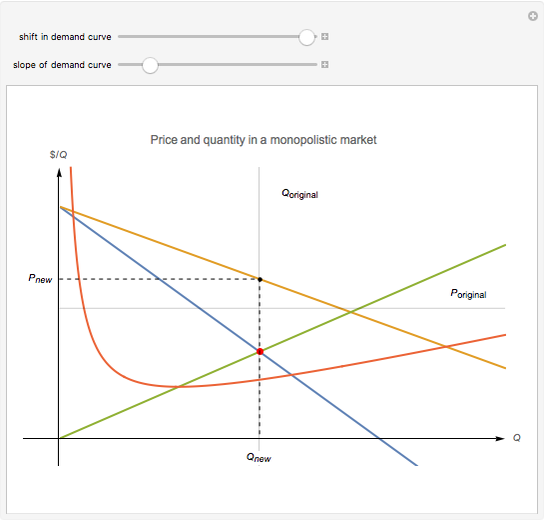 Therefore, there is no one-to-one relationship between quantity and price—a monopolistic market has no supply curve. 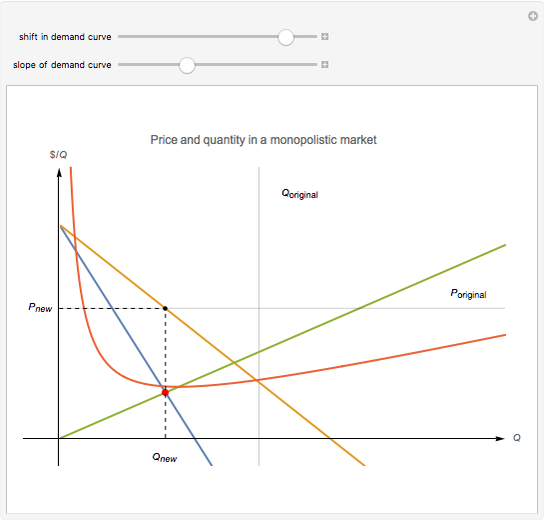 You can mouse over a curve to identify it. 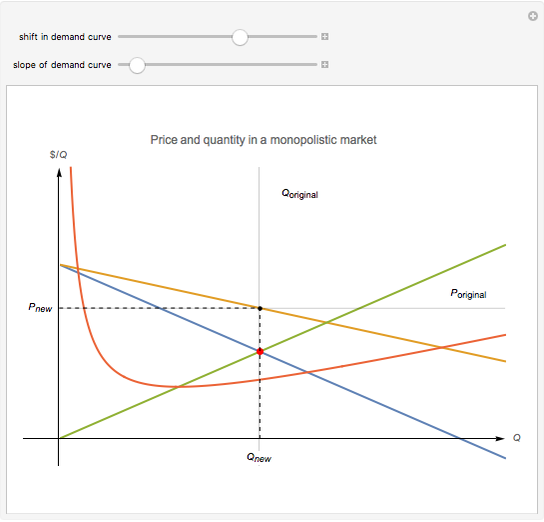 Samuel G. Chen "No Supply Curve in a Monopolistic Market"